Why Does a Leadership Team Exist? Why does a leadership team exist? The fundamental reason that most leadership teams don’t succeed is that they don’t stop to think about why they exist. Katzenbach, explains in his HBR article that a real team is a small number of people with complementary skills who are committed to a common purpose, performance goals, and an approach for which they hold themselves mutually accountable. It’s not enough to define what a real team is, teams must dig deeper and understand more than what they are, and what they do, they must understand why they exist. Why they exist goes beyond their common purpose, as well. A leadership team could simply answer their common purpose is to lead their team, but to ask why they exist, will likely leave them stumped. 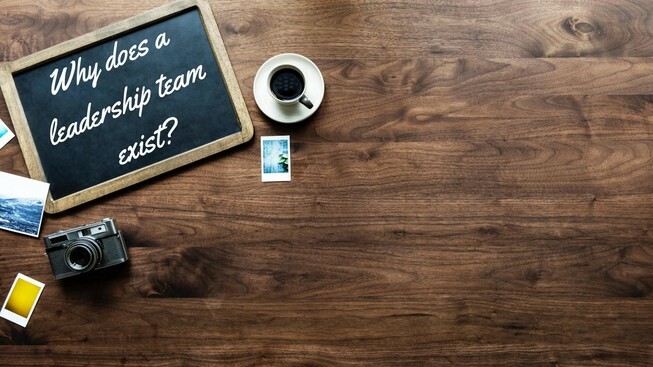 Yet, understanding why they exist is a fundamental question that is going to change the way the team approaches problems, solves them, and lead their company towards sustained success. If you ask your “leadership team” why they exist, most likely they will get it wrong. I recently kicked off a workshop with a new Leadership Team. This company has been ranked in Inc. 500 as one of the fastest growing companies consecutive years in a row. Through the rapid growth, sprouted a new leadership team. At the beginning of the workshop, everyone was ready to dive in, to discuss the issues, to problem solve, and share their opinions with the CEO. I had a feeling they weren’t ready to lead as a team. A leadership team, like this one, will come up with a lot of different problems. A team that answers “what is the problem” with the problems above, has a fundamental problem. Identify the root cause of the problem: Asking Why? Conflicting views of what needs to change. We created a recruitment centric company. However, this is truly NOT the reason for the problem. A Leadership Team’s purpose is to inquire into what are they doing or not doing, such that any and all problems exist. As a leadership team, every single problem that exists in a company is because of the leadership team. This incredibly powerful level of responsibility, was coined by Dr. Fleet Maull as radical responsibility. Radical responsibility is the foundational element of why a leadership team exists. So, you should ask yourself, why are these the company’s results? Why do you have $35,000 in the bank? or $350,000 dollars in the bank? or god forbid, $3.50 in the bank? It’s because you (the leadership team) created having that amount of money in the bank. In a leadership team, if Jerry and Mary aren’t talking to each other it’s because you (the leadership team) made that. They are there, not talking, creating chaos on your team and your results because you created it. If you want to have a high performance leadership team, it’s a matter of whether you’re willing to take radical responsibility for your results, and move on to tackling the right problems to achieve sustained success. The Awakening: Why Do We Have These Results? So after the leadership team I was facilitating came up with problems and reasons for their results, I used a timeless example to facilitate their learning. I used this example because this team could not figure out that they were responsible for all the results that they created. So, I asked one member of the leadership team, Brendon, a favor. I asked him to stand up, and push a chair towards me. So I said, “Okay, so why do we have these results as a leadership team?”. And then, they got to the golden answer I was looking for: a leadership team exists to create the results for the team. And alas, the team took a sharp turn towards a new path to success as their thinking began to take radical responsibility for the results of the company. So why does a leadership team exist? A leadership team exists to create the results for the team. When the results aren’t happening it’s because the leadership team that created those results. Ultimately the purpose of a leadership team is to have everyone else in the company succeed. So when they are not succeeding, they as the leadership team, are responsible for it. They can actually begin to have some real conversations. Then, they have a clear understanding of why they exist, they are being radically responsible, and begin their next step of transformation. If instead, I walked into their leadership team meeting, and simply told them that this is why they exist, rather than eliciting the answer from them, the lesson would not have been as impactful. Instead of telling them why they exist, the power comes from leadership teams realizing why they exist. You can’t get people to function as a team, if an outsider determines what they are there to do. You get a team to fully buy-in to what they are up to when you enroll them in a possibility that they truly care about and can come together on. When they have the possibility that they truly care about and can come together on, they discover the answer as to why they exist. So, why does a leadership team exist in the first place? Don’t tell them why they exist, have them describe their own existence. The power comes from the leadership team realizing why they exist. If you are in a leadership team in San Diego, and are looking for help on strategy, feel free to visit my main page to learn more and contact me. I can guide your team to high performance and help you lead in your industry.